The browser is likely the application you use the most on your computer. But what can your browser do to protect your online privacy? Take a look. Over the past few years, there have been many reports of security breaches, dodgy practices and plain creepy levels of tracking going on. But can your browser – the application you use the most on your computer – help with any of that? Let’s take a look at what your browser does for you. 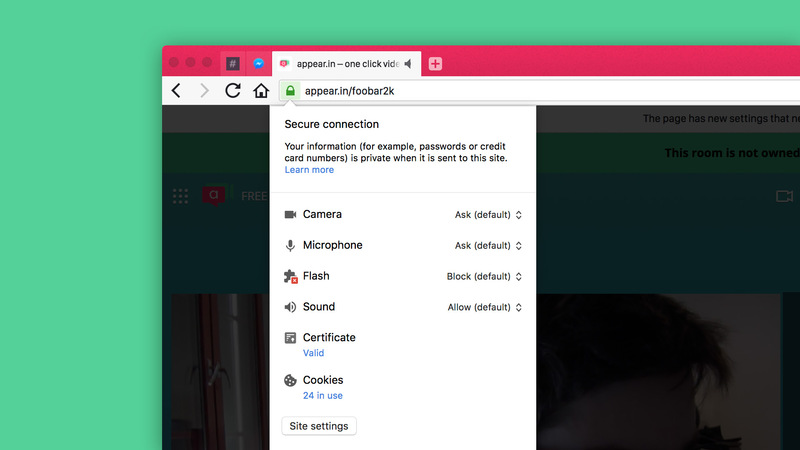 When you connect to a secure (https) website, your browser establishes a secure connection with that website. All data is encrypted so that only the browser and the website can see what is being sent over the connection. Your browser checks the certificates sent by the website to make sure you’re connecting to the real domain. That stops attackers from pretending to be that website. Simply put, an attacker will not have the website’s certificate. Your browser doesn’t allow the website to run untrusted code on your computer. If you take care to run an up-to-date version of a trusted browser that patches security holes fast and don’t actively run an executable file downloaded from a website, your browser will make sure no malware is installed on your computer. Your browser checks for known malicious websites – you know, the ones that pretend to be a different website and trick you into divulging your username, password, or other sensitive stuff, or websites that offer malware for download. The list of malicious websites changes very frequently as websites are added or removed. 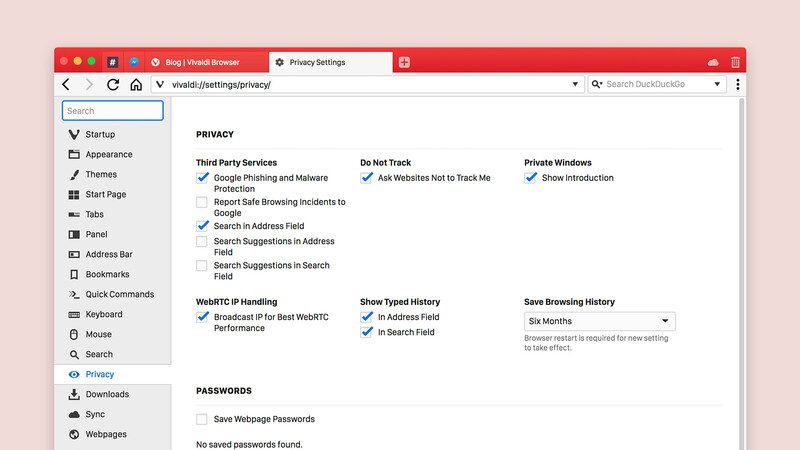 Vivaldi uses third-party services for this and we recommend that you keep this setting enabled: Tools menu > Settings > Privacy > Google Phishing and Malware Protection. When you download a file, your browser will display the correct domain of the site where your file actually came from. It’ll do that to prevent you from downloading a file from an attacker’s website. And since downloads can be executable files, your browser will ask you explicitly if you want to run the executable file. In Vivaldi, we have a setting to tell the browser to download files without prompting, but executables will still not run without your explicit permission. Your browser gets your permission when a website tries to access your camera or microphone, let’s say in order to offer a chat application or position you on a map. Vivaldi will remember when you deny permission and will block the website from pestering you repeatedly in the hope that you’ll eventually give in. Your browser lets you quickly change privacy settings if you want to disable any permissions you have given to a website. In Vivaldi, click the badge next to the website address in the address field, and change any settings you want back to their safe defaults. 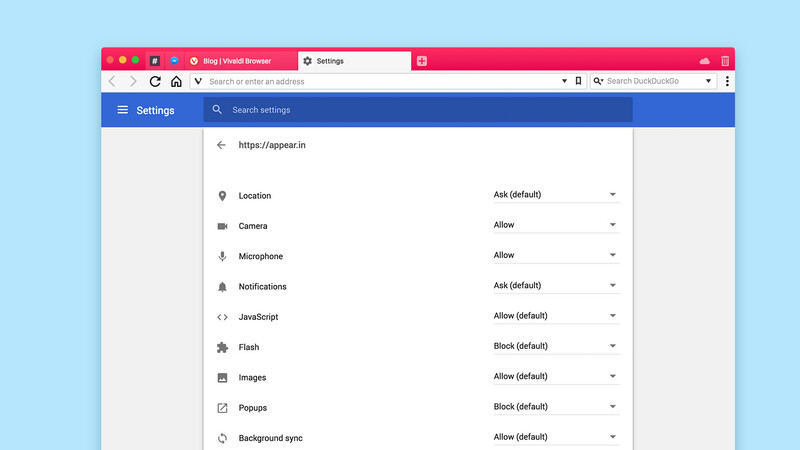 Your browser lets you browse in private mode – especially useful if you are sharing a computer login. 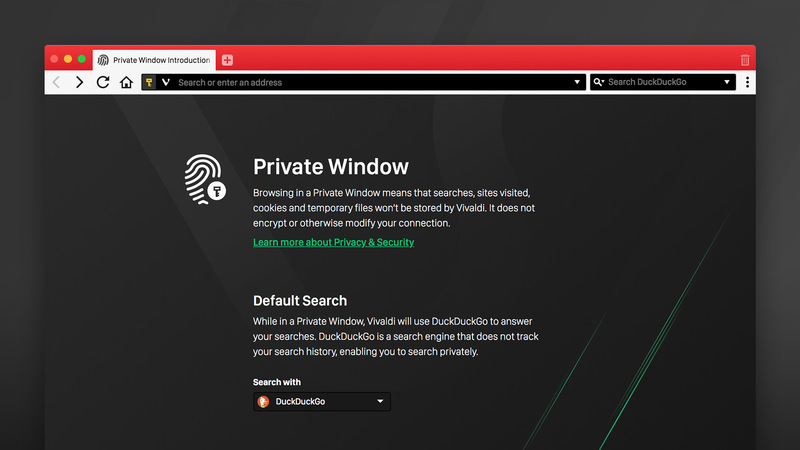 Vivaldi’s Private Window does not use the same cookie store or cache as when you browse in a regular window, and will not store the history of addresses you visit. If you have forgotten to use private browsing mode, your browser lets you delete your browsing history. In Vivaldi, you can use Tools menu > Delete Browsing Data, to either delete all your browsing history or just the history for a selected amount of time. Your browser will take care of tracking cookies. In Vivaldi’s Settings > Privacy, you can use “Ask websites not to track me”, a polite way to ask websites not to set tracking cookies. However, they can simply ignore it, and in most cases, the ones you want to avoid will be the ones who do not respect your request. Blocking third-party cookies usually works, however, it does occasionally cause a website not to work properly if the website uses multiple domains for its content. There are many search engines out there and the one you pick will make a difference to your online privacy. 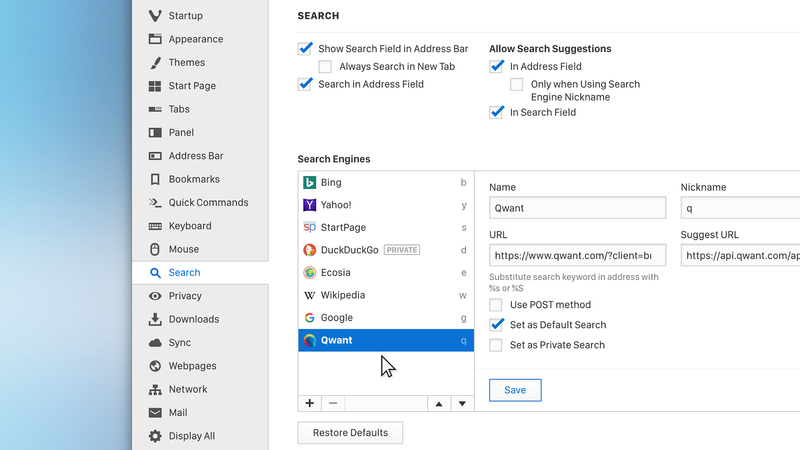 In Vivaldi, you can set your default search engine to anything you like but we recommend a privacy-focused search engine that will protect you from surveillance, and give you neutral search results. Searching online can have significant privacy implications. In most browsers, when you start typing in the address field, the search engine of your choice will offer to autocomplete the search term before you’ve even finished typing. This no doubt is a powerful feature that can make searching online fast and efficient. However, the way it works is that it allows your search engine to see what you type even if you don’t perform a search. In Vivaldi, you can disable search suggestions for better online privacy. 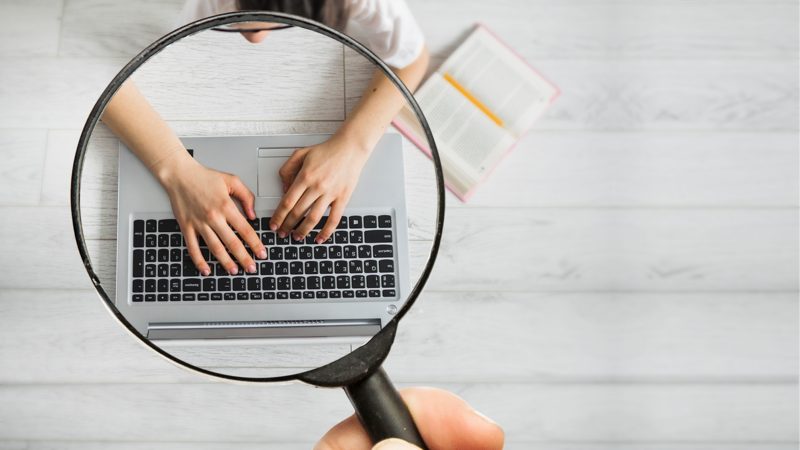 Although you may feel more secure using antivirus, parental control, or debugging software, allowing software to intercept network connections can do more harm than good. Take a look here for the dos and don’ts of this. Integrated browser VPNs that work just for that single browser, might also be giving you a false sense of security. Typically, these are not actual VPNs but anonymizing secure web proxies. This doesn’t make them bad, it just means that they might still allow bits of information to get past the proxy, and others to see the websites you are visiting. Have a look at this article for everything you should know about how VPNs work. Do you want to learn more about the most important aspects of protecting your privacy and security online? Take a look at our web browser security webpage. The browser you choose – and how you use it – matters to your privacy. Working with web browser security since 2005, and with Vivaldi since 2018. 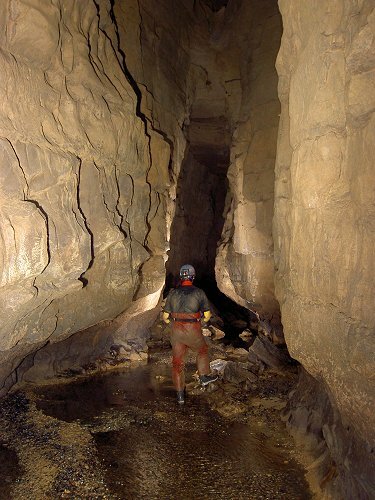 You may also find me exploring the great outdoors, with caving being my speciality since 1991, or caring for a wide variety of exotic pets.